The boat neck neckline is refined with subtle cap sleeves about your shoulders. The sleek bodice is lined past your hips. 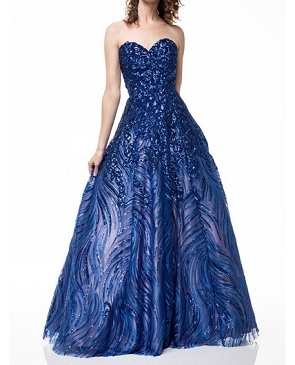 A flared mermaid skirt is tiered with ruffled fabric and a curling hemline at your feet.